Good. 1937870014 ALL BOOKS SHIPPED WITHIN 1 DAY OF PURCHASE! I have found a new favorite children's author! 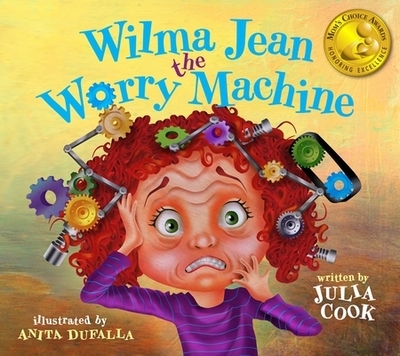 Julia Cook has managed to combine entertainment, colorful, fun illustrations, and addressing the issue of children's worries in this wonderful book. The story will definitely keep and child's attention. Wilma Jean is a "worry wart". Her anxieties surround "what if's" of many things in and out of her control. Sounds like a lot of adult worry doesn't it? Children will be able to connect with Wilma Jean and realize they aren't alone. Better yet the child will be guided in how to view and deal with their worries. It isn't just an enjoyable story; there are solutions offered. I believe adults should read the books too as they may be guilty of brushing off their little one's burdens and not taking them seriously. They are serious to the child! Another plus I see is that this will be a starting point at a young age for kids to learn how to deal with stressors in their life. At the back of the book the author gives 16 ideas for adults, parents, and teachers to help an anxious child. I know this book is for children ages 2 - 5 years but I would extend it to 10 years old. I am thinking about incorporating it into a Bible study for our ladies group on worry. I can't wait to read more of Ms. Cook's books! Go to http://www.juliacookonline.com to see more of them!